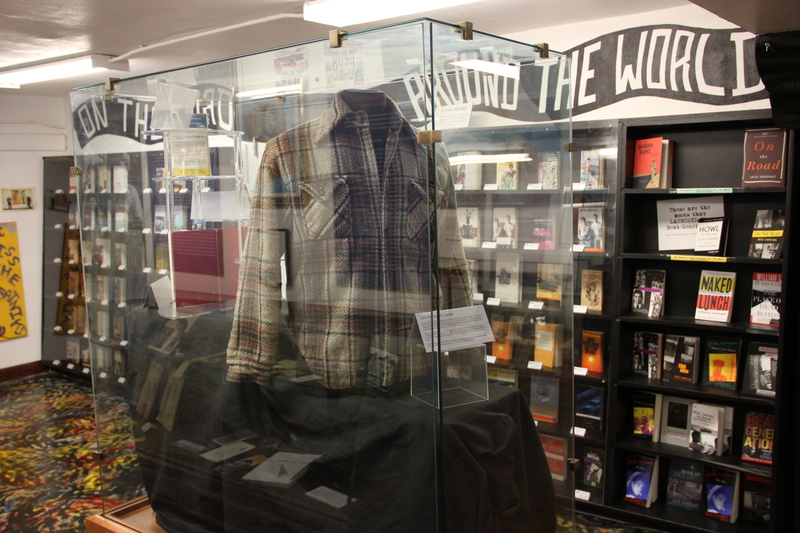 ‘This wool and cotton jacket belonged to and was worn by Jack Kerouac. The label is CPO, a brand popular in the 1940’s and 1950’s. The earth tones and broad checks reflected Kerouac’s working class aesthetic and it is the type of jacket Kerouac would have worn in the 1950’s. It is very possible Jack wore this jacket on his hikes in the woods with Gary Snyder in 1954 during the Dharma Bums years and may have worn it on Desolation Peak during his fire watching days when he meditated to Mount Hozomeen in the summer of 1956. Would that collector be Johnny Depp? Thanks for stopping by Stephanie. Don’t know, could be. It’s a nice thought.